Ofqual’s decision to remove practical science experiments from GCSE assessment is causing a lot of concern among the scientific community, and education minister, Nicky Morgan is deeply frustrated with the outcome. Ofqual has justified this move by stating that as it stands, many schools only offer a limited number of practical experiments and that some teachers provide students with too much assistance, undermining the reliability of good assessment scores. Yet, the fact remains that practical skills are essential to equipping students with the skills needed for the workplace. Vincent English, managing director of Vernier Europe, discusses the need to urgently rethink the removal of practical experiments. Practical science involves a hands-on experience for students, promoting critical thinking skills and encouraging visual learning, which helps students at all levels to achieve academic success. In addition, scientific enquiries and investigations not only support the physical development of skills but they help students to better understand the different scientific concepts and phenomena. Given the current push towards STEM (science, technology, engineering and maths), it’s important to keep practical science a priority. As everyone knows, children have a natural curiosity for the world around them; this can be developed in practical science work, allowing them to explore and discover for themselves. But this practical work needs to be consistent throughout their learning journey. 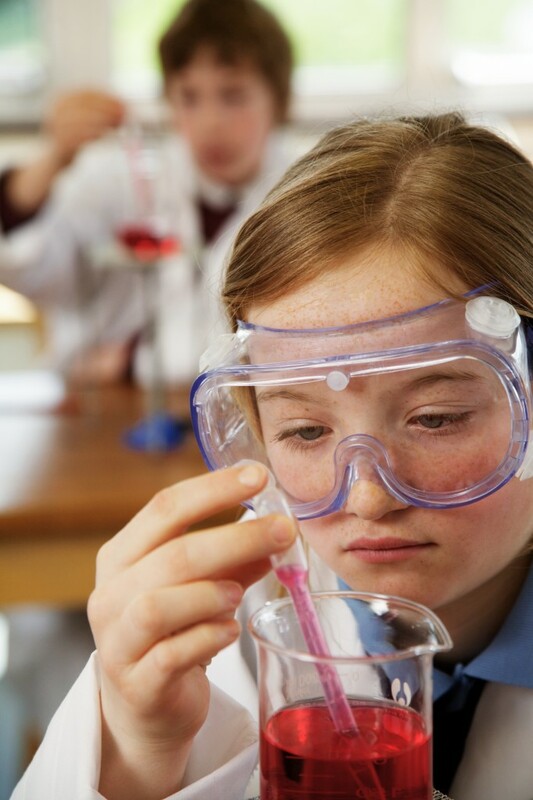 If it is reduced at an important stage of education, not only will it reduce a child’s ability to learn but it can lead to concerns by universities regarding the lack of laboratory skills in first year science, leading to a further lack of skills required by future employers. The main purposes of practical work in the curriculum are to enhance the learning of science concepts and explanations, develop understanding of the processes of science and develop necessary laboratory skills. Therefore, the removal of practical science experiments is cause for major concern. When trying to explain difficult concepts to students, such as the speed of light, it might be an arduous task simply trying to describe something like ‘Snell’s Law of Refraction’; so a practical experiment will always make it easier for students to understand. It’s all very well to explain that refraction is when the path of a light wave bends as it passes across the boundary, separating two media, and is caused by the change in speed, but it’s made much easier to understand through practical experiment. By taking out a hemi-cylindrical dish filled with water, pointing a laser beam towards the centre on the flat side of the dish and measuring angles accordingly (laser light measurement entering and exiting and at different angles) this law is explained more clearly. Another such example is baking bread, and using yeast to study how temperature affects rising dough. Rather than to simply explain that yeast is a living organism, it’s better to demonstrate this in a practical way. Students will see for themselves that in a water environment, yeast uses sugar and oxygen to produce a gas called carbon dioxide, CO2. The CO2 causes the dough to rise and creates the bubbles or air pockets that you can see in the bread that you eat. It’s important that students understand what it is they are trying to discover. There is no point in just reading theory from a textbook, if students don’t understand the actual point of the experiment. Allowing students to think for themselves and try their own approach is very useful. It motivates their curiosity and instills confidence in their own abilities to learn. This is why practical science experiments are so necessary. Given the technology driven era we now live in, and the fact that children seem to have a natural affinity for technology, it makes sense to involve it in practical science. Enabling students to undertake practical work using technology, puts them in a better position to discover scientific knowledge about the natural world for themselves. With wireless data collection and analysis software available, students can explore science in the great outdoors, collect data systematically, interpret their data and analyse their results – all very useful ways of learning science, not from a textbook. In addition, in a speech at the Politeia thinktank in London earlier this year, secretary of state, Nicky Morgan, said she feared that ‘dropping practical lab work from both A-level and GCSE assessments would harm the next generation of scientists’. Evidently, she too is keen to make sure students get enough experience of practical science to stand them in good stead for the workplace. Although Ofqual is planning to remove practical science experiments from GCSE assessment, schools will still have the option to include hands-on experiments. However, if the focus of examinations is on theoretical study only, then schools will be more likely to focus their time and efforts, as well as budgets, on this element. In my opinion, making practical science less of a priority in schools today is damaging and counterproductive, and simply should not be an option.